For many Americans, Memorial Day is the unofficial start of summer – a day to honor military heroes and to celebrate a new season with barbeques and beach trips. But, on May 28th, 2018 while others were enjoying a relaxing day off of work, Midwest obstacle course enthusiasts gathered in Columbus, Ohio to take on the Memorial Day Mayhem. Memorial Day Mayhem is a local OCR event that took place at the Jewish Community Center of Greater Columbus at their permanent obstacle course training facility, the Black Diamond Obstacle Course. Designed by JCC Fitness Director Jason Goggins, the Black Diamond Obstacle Course has been voted runner-up for best OCR training facility by MudRunGuide.com for two consecutive years and proved to be a challenging and accessible venue for the event. 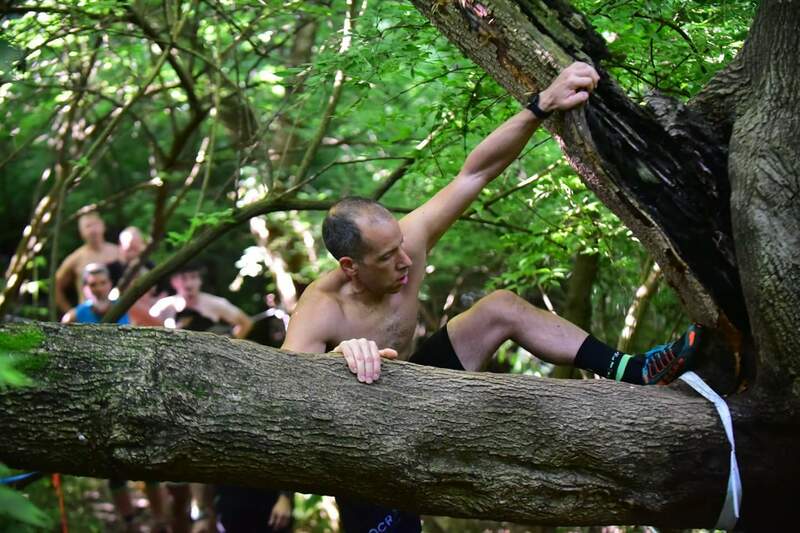 The course covered 3.1 miles of primarily single track, technical trails and included 35 obstacles. 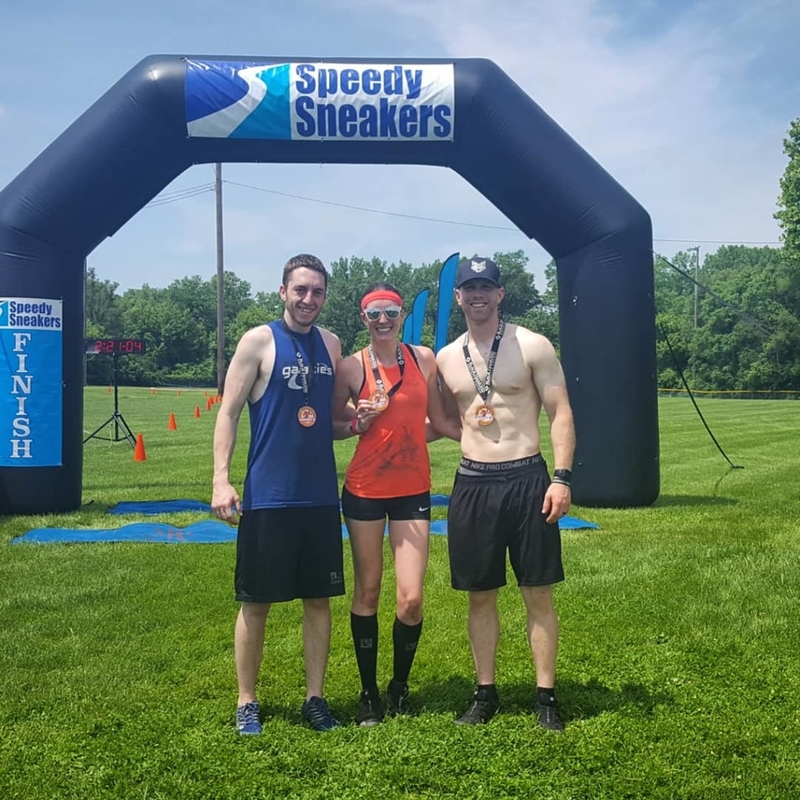 The day of the race, the temperature in Columbus was upwards of 90 degrees, so the wooded trails that covered a high percentage of the course and provided shade were greatly appreciated! Over 200 racers participated in either elite or open waves. The event allowed for 4 elite waves (of 20 participants each) as well as numerous open waves (of 30 participants each); I myself participated in an open wave. 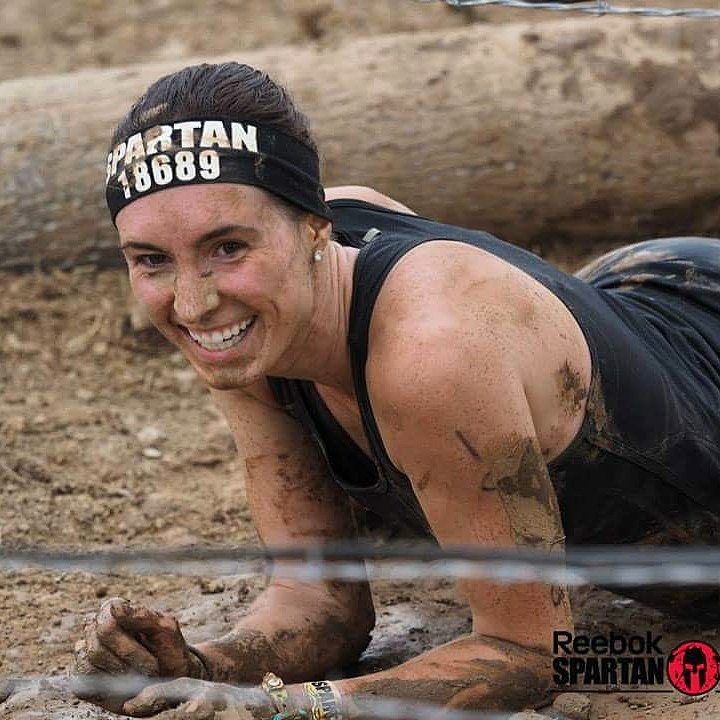 Elite waves required mandatory obstacle completion and utilized wristbands to account for those who had earned 100% obstacle completion. Competitors were able to try obstacles as many times as they needed to pass the obstacle or else forfeit their wristband. Open wave participants were encouraged to attempt every obstacle; however, there was no penalty for skipping or failing an obstacle, making the event enjoyable to racers of all skill levels. 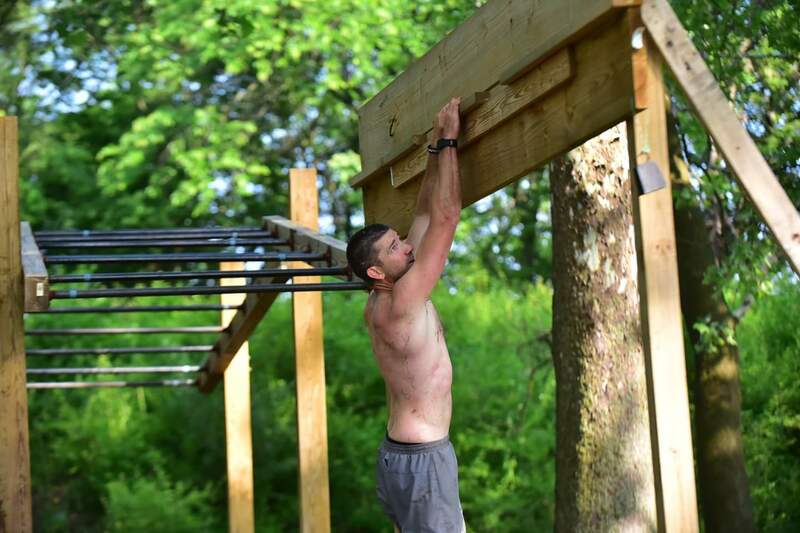 Due to the fact that the Black Diamond Obstacle Course is primarily an OCR training facility, the course included many of the typical obstacles we see in bigger name OCRs such as a rope climb and traverse, bucket carry, and wall variations. There were, however, some unique ‘spins’ on these traditional obstacles, a few innovative obstacles I have never encountered before, and a number of ‘natural obstacles’ amidst the man-made. An area that I found to be impressive was Goggins’ spin on the bucket carry – in that the buckets were filled with water rather than rocks. This was my first time encountering this during a race and in my opinion, while I think that this made the carry lighter, it was also much more difficult due to the water sloshing around inside the bucket. Also impressive was the innovative obstacles at the event, specifically, ‘the Undercarriage’ and ‘the Diamond Cutter’. For the Undercarriage, racers needed to navigate underneath a wooden ladder without touching support beams or the ground. The Diamond Cutter also debuted as an innovative three-part obstacle which required participants to scale a grip traverse, ascending/descending monkey bars, and a second grip traverse. To say that these two Black Diamond obstacles called on serious grip strength and stamina is an understatement. I have just one grievance to mention and that is the issue of bottlenecks. Since the venue is first and foremost a training facility, most of the obstacles are a single lane or at most, only allow 2-3 racers on a given obstacle at a time. Though this did not affect me much in the open wave, I did hear of concerns from elite competitors. The event was sponsored by Altra Running, Orthopedic One, EndurElite, and Hello Fresh. Awards were given to the top three men and women as well as to the top three masters men and women. The course record for the day was an impressive 35:18 by first place male Brandon Ours who was followed by first place female, Sarah Regan with an 18th overall finish and a time of 47:01. 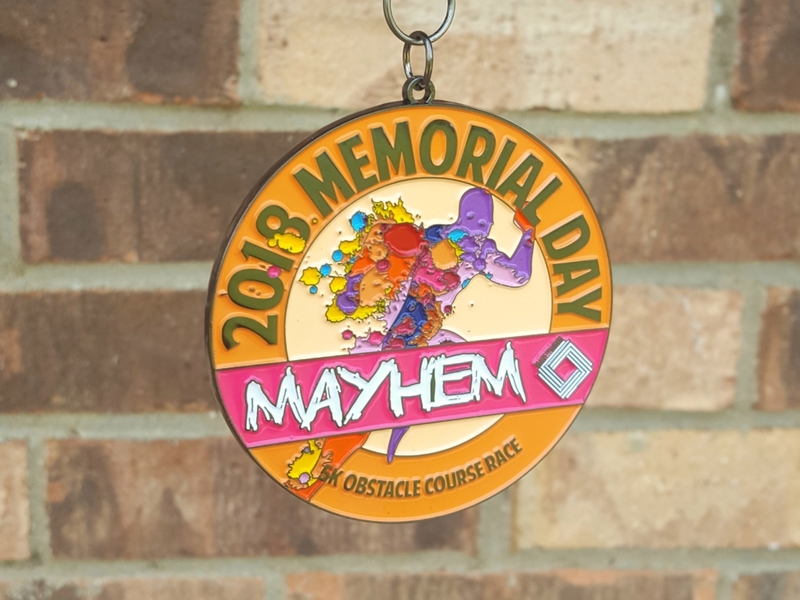 Though this was the third running of Memorial Day Mayhem, it was the first year that finisher medals were provided. Finishers walked away with not only finish line pride and sweat-drenched clothing, but also a finisher medal, Black Diamond Obstacle Course t-shirt, fresh fruit, bottled water, and KIND bars. 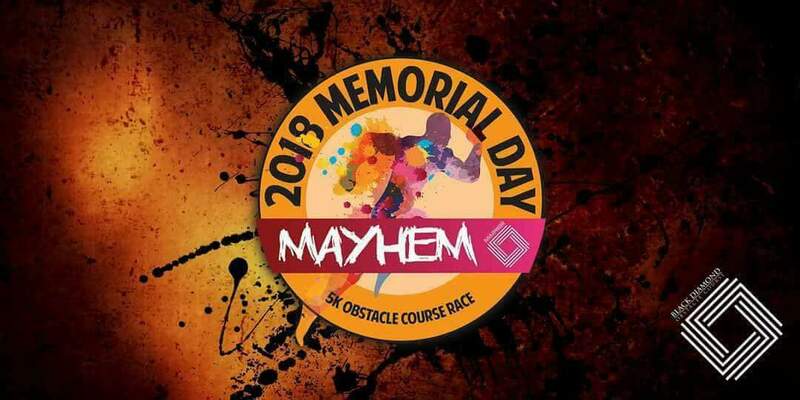 Memorial Day Mayhem is an event that takes place only once a year; however, it is also part of a bigger-OCR-picture in that it is the first event in the ‘Ohio Grand Slam’. The Ohio Grand Slam is a racing challenge put together by locally-owned Ohio OCRs. 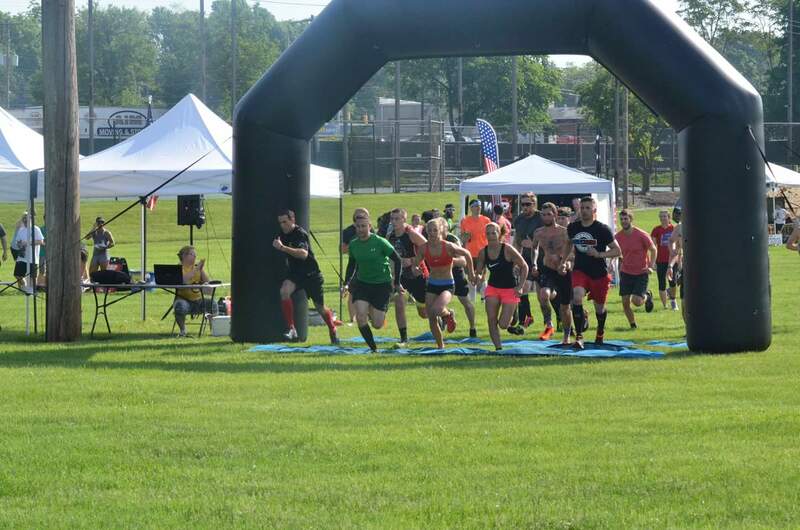 Events included in the Ohio Grand Slam are Memorial Day Mayhem, the Black Swamp Dash, Indian Mud Run, Mud Ninja, and the Nightmare Challenge. Competitors who participate in all five of the Ohio events will earn a custom made medal rack to showcase their support and commitment to Ohio local racing. Overall, I rate the event at a 4 out of 5, as it definitely exceeded my expectations! This event is perfect for beginners and the seasoned veteran alike. 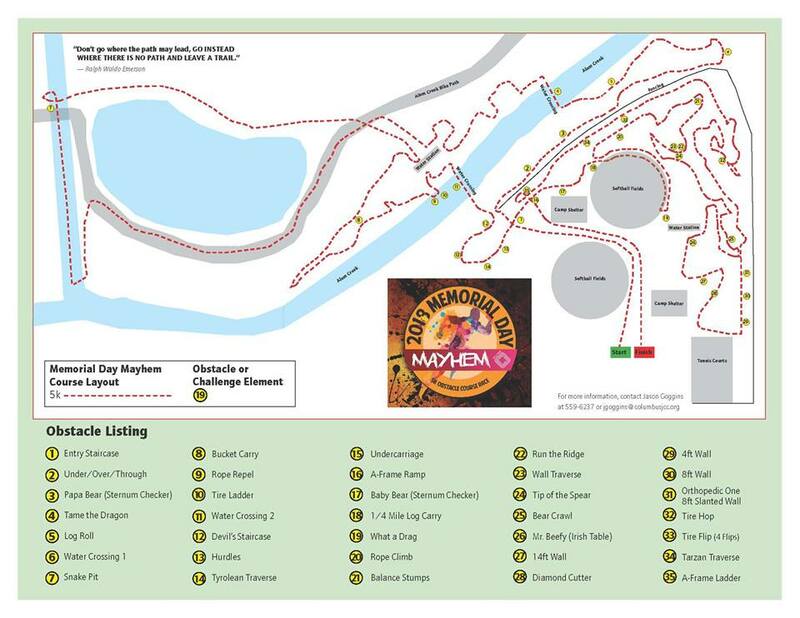 Memorial Day Mayhem is a great, affordable, challenging yet accessible event that reminds us of the benefits of racing local. I would absolutely recommend this event to all Midwest OCR fanatics, and I already have my calendar marked for the events’ return in 2019! Thanks for reading, and happy racing! Results from the 2018 Memorial Day Mayhem are available at SpeedySneakers.com and race photos can be found at www.phil-bartow.com as well as from Juffrey Turley on Facebook. *Race photos featured in this article are courtesy of Juffrey Turley. Did you miss the 2018 Memorial Day Mayhem? No worries! The JCC of Greater Columbus and Black Diamond Obstacle Course offers several open training days throughout the year; for additional information, be sure to follow their Facebook page. Did you attend the Memorial Day Mayhem? We want to hear from you! What did you think of the event? Great write up, Julie. Thank you. Hope to see you back next year!